These are based off of Ina Garten’s recipe. They are an easy and delicious breakfast. My little guy had to add rainbow sprinkles to his mini sized ones! Spray 3 doughnut pans with non-stick spray. Mix together the flour, sugar, baking powder, baking soda, cinnamon, nutmeg, and salt in a medium mixing bowl. Add the egg, buttermilk, butter, and vanilla, and stir until just combined. There should be no dry clumps of flour, but lumps are okay. Spoon batter into each of the doughnut pan cavities, filling them three fourths full. Bake the doughnuts for 15-20 minutes, until a toothpick inserted into a doughnut comes out clean. Remove the doughnuts, invert onto a cooling rack, and let cool. Whisk together the ingredients to make a smooth buttercream frosting. Dip the doughnuts into the frosting to coat well on one side. Set frosting side up and let the frosting set for a minute or two before serving. For my birthday this year, we made a version of Peabody’s excellent Fireball Glazed Apple Cake. It turned out wonderfully! Using multiple types of apples, applesauce, and apple whiskey made for a deep apple flavor that using just one type of apple just can’t quite touch. Cream the oil, applesauce, sugar and eggs with an electric mixer until the mixture becomes light yellow and fluffy. Add in vanilla extract and beat for another 30 seconds to combine. Add the flour, baking soda, salt, cinnamon, and nutmeg. With the mixer on low, stir until the ingredients just come together to form a batter. 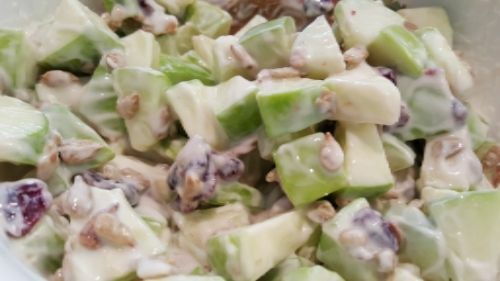 Add the shredded apples and mix until all the ingredients are fully incorporated. 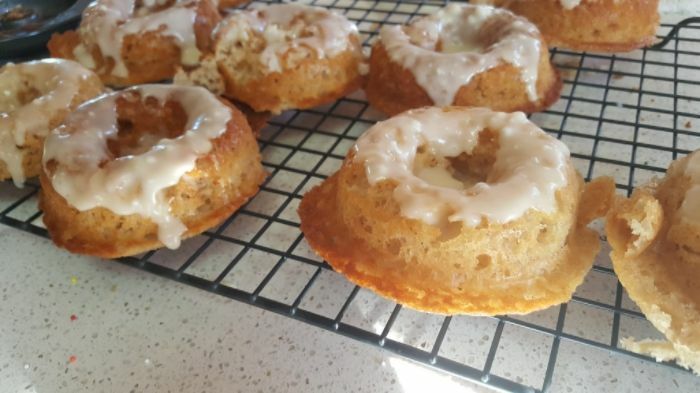 Pour batter into a bundt pan. Bake at 325 degrees for 60-70 minutes, or until the cake turns a dark golden brown and a wooden skewer inserted comes out clean. Let the cake cool completely on a wire rack. Turn the cake out onto a plate. 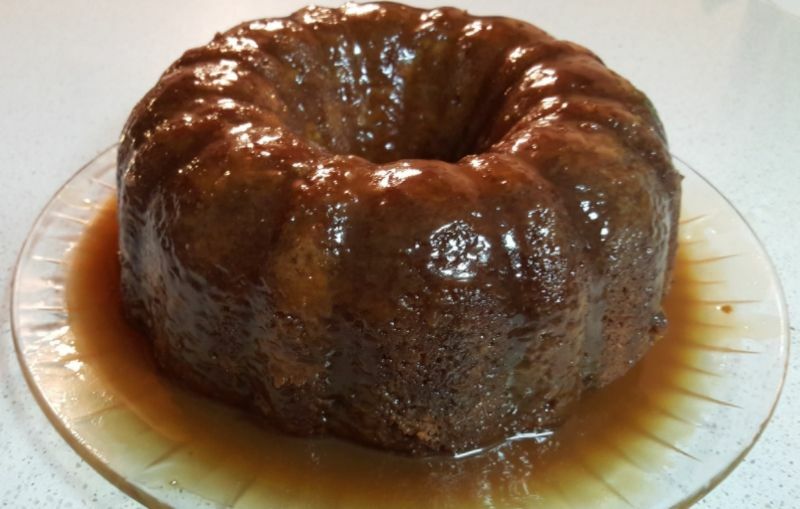 When the cake is cool, proceed with the glaze. In a saucepan over medium heat, melt the butter. Add the brown sugar, vanilla extract, heavy cream, and whiskey, and increase the heat to medium high. Bring the mixture to a rolling boil, then turn the heat off. Using a wooden skewer, poke holes in the cake for the glaze to sink in. Pour the glaze slowly and evenly over the cake. Let the cake cool again completely, spooning extra glaze over the cake once or twice. When the glaze cools completely, it will form a delicious crust. This is a great late summer meal. 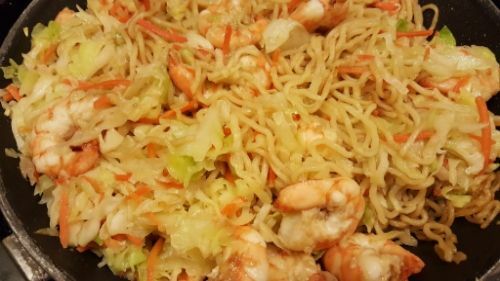 Sometimes, we’ll add some sliced grilled chicken or garlicky shrimp or langostino tails for a bit more hearty meal, but this is great all on its own. Cook the pasta according to the directions on the box, or your preferred method. 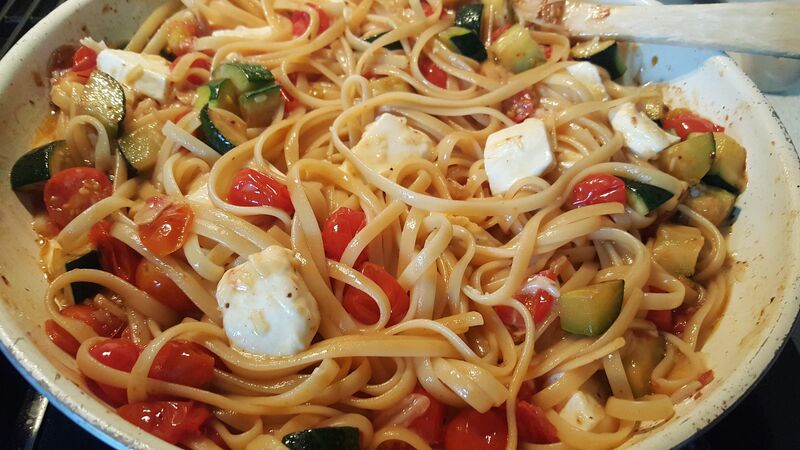 While the pasta cooks, heat the oil in a large skillet over medium heat. When the oil shimmers, add the garlic and the red pepper flakes and cook for 30 seconds, or until the garlic just starts to sizzle and turn fragrant. Add the zucchini and cook for another 2-3 minutes, when the zucchini is just starting to get tender. Add the cherry tomatoes and toss to combine. Cook for another 4-5 minutes, until the cherry tomatoes start to blister a bit and the zucchini is cooked through. Season with salt and pepper. Add the pasta and toss to combine. Turn off the heat. Add the basil, oregano, and mozzarella, and toss to combine again. Serve warm. This German street food is one of our favorites. A bit time intensive, but worth the effort at least a few times a year! Heat the oil in a large skillet over medium high heat. Add the garlic and cook for 15-20 seconds, until it just starts to turn golden brown. Add the ground beef, season it with salt, pepper, and onion powder.and brown it well. Turn the heat down to medium. Add the cabbage, and sauté until the cabbage is wilted down completely. Add the Worcestershire sauce and stir to combine. Turn off the heat and let the mixture cool for 5-10 minutes. While the mixture is cooking and then cooling, pre-heat the oven to 350 degrees. Flour a board or pastry mat, form a ball with two of the rolls, and roll out each larger ball into a round approximately 6 inches in diameter. Fill with 4 tablespoons of the filling and pinch closed, sealing completely. Place the bierock seam side down on a rimmed baking sheet that has been lined with parchment paper. Space the bierocks with at least 1 inch between each one to avoid sticking. Place the baking sheet in the oven and bake bierocks for 25-35 minutes or until golden brown. Serve hot. 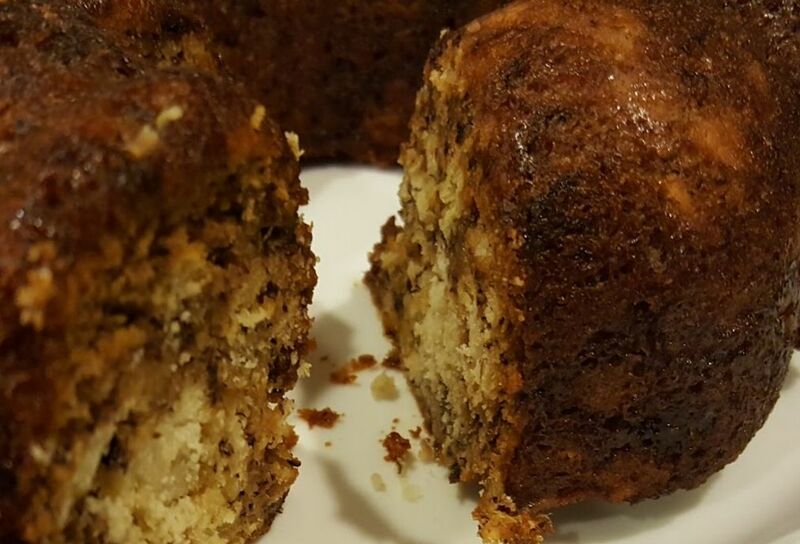 This is just my favorite banana bread recipe, with half white sugar and half light brown sugar, baked in a little 6 cup bundt pan. It only took about 35 minutes rather than an hour. Winning all around! Preheat the oven to 350°F, and spray a 6 cup bundt pan with non-stick spray. In a mixing bowl, mash the bananas with a fork until mostly smooth. Stir in the melted butter. Add the baking soda and salt and stir to combine. Next, stir in the sugars, egg, and vanilla extract. Lastly, add the flour and stir until just combined. Pour the batter into the loaf pan. Bake for 30 to 40 minutes, or until a toothpick inserted into the center comes out clean. Remove from oven and cool. Slice and serve. Amazon had a great lightning deal on Instant Pot electronic pressure cookers. Several of my friends have been raving about theirs, so I finally hit the buy button. I gotta say, I do love it! We tried the kalua pork that’s in the instruction manual, which turned out as good as my all day crockpot pulled pork, but with about 90 minutes of cooking time. 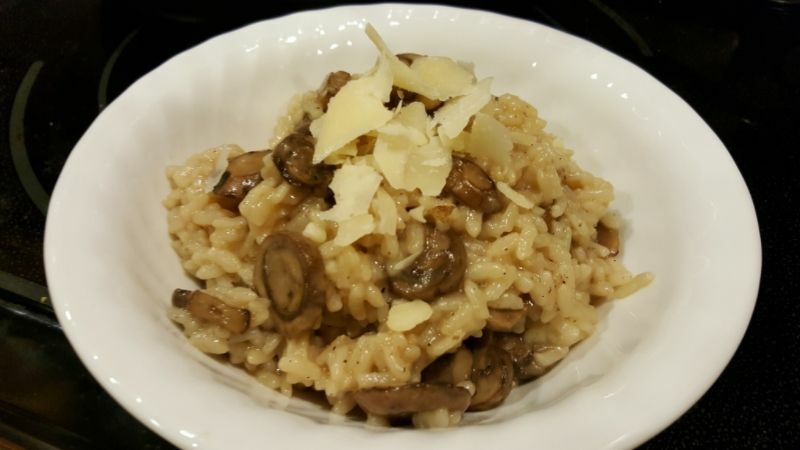 Today I tried my mushroom risotto. Normally it’s not something I’d try on a weeknight, but the recipes I checked out for the Instant Pot put it in the realm of possible, even with my little tornado of a helper. He was not interested in “mama’s mushroom rice” but we’ll give it another try sometime! Turn the Instant Pot to saute and add the butter. When it starts to sizzle, add the garlic and cook for 15 seconds until it just starts to turn golden. Add the mushrooms, season lightly with salt and pepper, and stir to combine. Cook the mushrooms until they are just starting to brown and cook down. Add the wine and let the mushrooms cook down until the alcohol smell is almost gone and the wine is reduced by about half, about 10 minutes. Add the rice and the chicken broth, stirring to combine. Season again lightly with salt and black pepper. Place the lid on and turn to seal. Turn the Instant Pot to Manual and set the timer for 6 minutes. It will come up to pressure over about 10 minutes, then it will count down the 6 minutes cooking time at pressure. WHen the timer reaches zero, carefully switch the top valve from Sealing to Venting for a fast release. When you are able, remove the lid and stir the risotto a final time. Serve warm with shaved parmesan cheese. This easy salad comes together in a few minutes. The hardest part is chopping the apples. 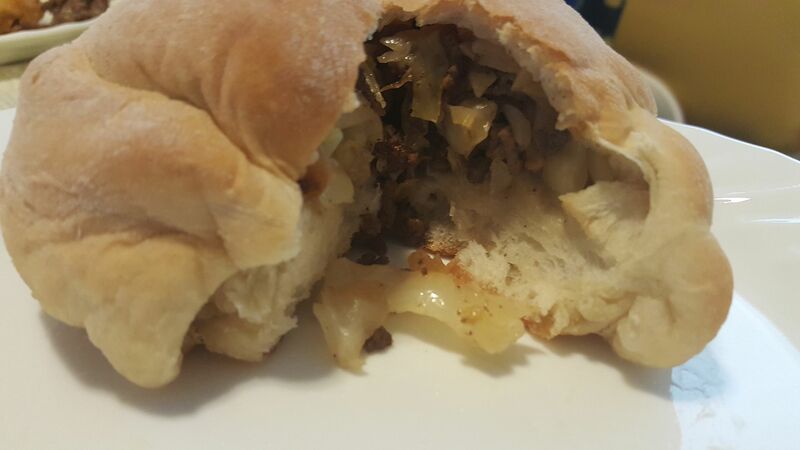 My recipe is based off of this one from AllRecipes. Stir together the yogurt, honey, and lemon juice until smooth. Add the craisins and apples and toss to combine. The salad can be made in advance up to here. Stir in the sunflower seeds just before serving so they stay crunchy. This is an easy and delicious way to enjoy oysters if the ones you have are not quite up to the quality needed for on the half shell. 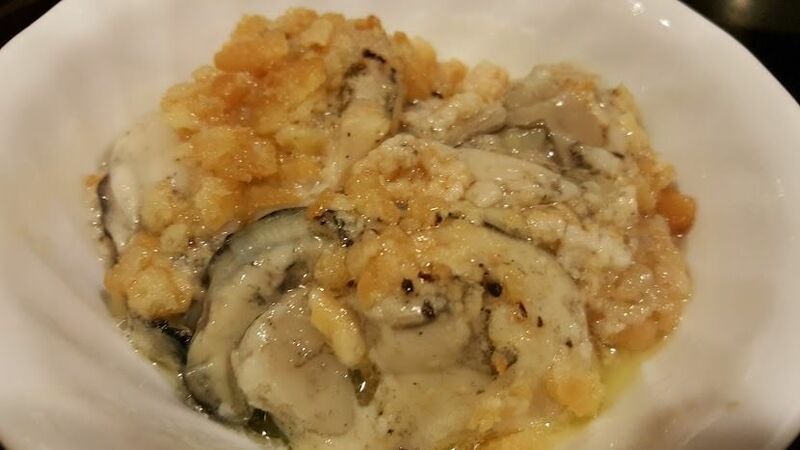 The buttery crunchy topping plays nicely with the plump juicy oysters. This serves 4 as a light dinner, or 8 as a small plate. Place about half of the cracker crumbs in the bottom of an oven proof dish (I used a 9 inch pie plate). Evenly spoon the oysters over the top, draining most of the liquid. Season lightly with salt and pepper. 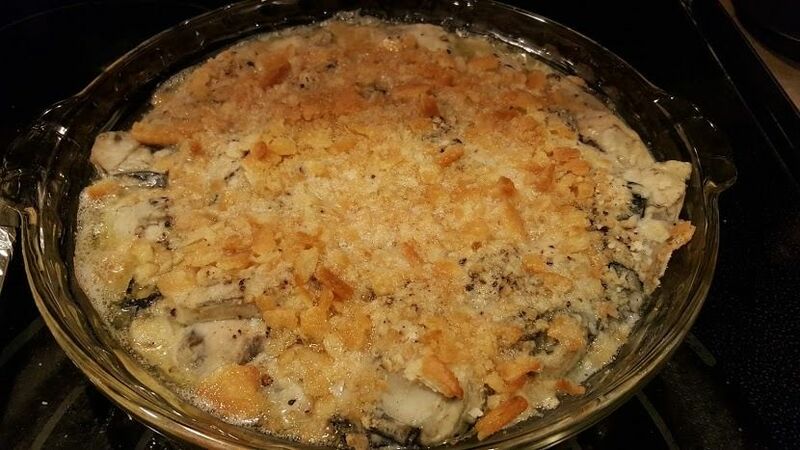 Top with remaining cracker crumbs. Drizzle butter evenly over the top. Bake for 20 – 30 minutes, or until the liquid is bubbly all the way through and the cracker crumbs are toasted to a golden brown. This delicious and fast meal is perfect for week nights. My little rice cooker (Zojirushi NS-LAC05XA Micom 3-Cup(Uncooked) Rice Cooker and Warmer ) has a timer so you can put rice and water in the bowl in the morning and have hot fluffy rice just in time for dinner when you get home. It’s an awesome feature. The chicken is marinated in a sweet and savory sauce for a few minutes, then simmered over medium heat to get the fine grain before the heat is turned up to boil off the remaining liquid and get the yummy browned surfaces. The eggs are scrambled over low heat with constant stirring to get a similar small grain size. Whisk together the sake, soy sauce, grated ginger, grated garlic, and sugar for the chicken in a large skillet. Add the ground chicken and gently chop up the chicken with a spatula to stir the marinade in well and break up the chicken into fine chunks. It should almost look like oatmeal when you’re done. Set the chicken aside to marinate for a few minutes. Crack the eggs into a bowl and whisk together with the sugar and salt until the mixture is a consistent viscosity and color. Set the eggs aside. Put the skillet with the chicken over a burner on medium heat. As the chicken cooks, continue to stir to keep the pieces of chicken small. Once the chicken is cooked through (about 5 minutes), turn the heat up to medium high and boil off the remaining liquid, Brown the chicken well, then remove the chicken to a serving bowl and set aside. Wipe out the skillet and add a little non-stick spray. Turn the heat to medium low. Pour the eggs into the skillet and scramble, stirring often to keep the grain size small. When the eggs are cooked through, spoon them into another serving bowl. 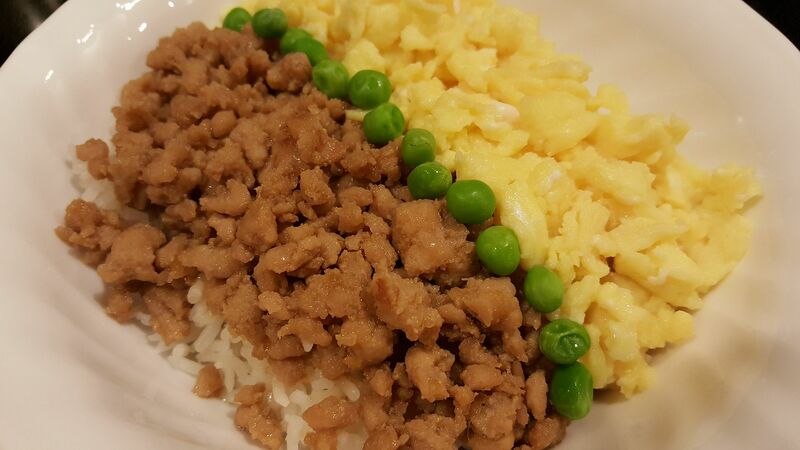 Spoon rice into a bowl and add egg to one half of the bowl and chicken to the other half. If desired, garnish down the middle with some diced scallions, chives, or even green peas like I did. Serve warm.